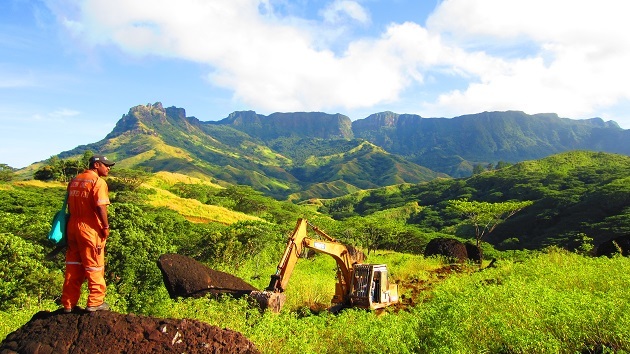 Lion One Metals Ltd. (LIO:TSX.V; LOMLF:OTCQX) announced in a news release it developed plans to fully explore the large alkaline gold system of the Navilawa caldera in Fiji, which encompasses the company’s Tuvatu project. “Lion One’s immediate goal is to generate a pipeline of new drill targets,” the release noted. The company also will conduct initial controlled-source audiofrequency magnetotellurics, or CSAMT, and take and amass closely spaced gravity measurements. The data from these activities will assist in better delineating the structure underlying the Navilawa caldera’s vein network. While all of those components are in progress, the company’s geologists will continue their ongoing prospecting and mapping efforts.